Last week, I reminded readers that the clock was ticking for submitting applications to the Master’s programs in conference interpreting scheduled to start in the fall. The deadline for applications to the MIC at the University of La Laguna is today, so if you haven’t submitted your paperwork by now, you’re probably too late. However, it’s not too late to apply to the other training program that is near and dear to my heart: the Master of Conference Interpreting (MCI) at York University (Glendon College) in Toronto. They’ll be taking applications until June 5th, so you have still some time to think about whether your future lies at Glendon. The first thing any prospective candidate needs to know about the MCI at Glendon is that the first year is given entirely online, which means that you don’t have to move to Toronto to study. You can follow all the Year One courses from the comfort of your own home, wherever that may be in the world. So if you are interested in becoming an interpreter but are not in the position to move to pursue your studies, this may be the training course for you. I am one of the virtual trainers teaching the current crop of MCI students, and while it might seem strange to think that you might be learning with people who live on the other side of the planet (in my case, the difference between me and my students was “only” five time zones), in practice it is actually very stimulating to work in a virtual learning environment and not half as complicated as people might think (one day I hope to write a post all about just that). But back to practical matters. The MCI program is currently offered for the language combinations of English <> French, Spanish, Portuguese or Mandarin Chinese, and applications are also being accepted from Russian and Arabic candidates to see if these streams can be added to the program for 2013-14. The full Master of Conference Interpreting lasts two years, but students can exit the course after the first year with a Graduate Diploma in General Interpreting, which opens doors to the burgeoning healthcare and legal interpreting markets. The annual cost of the program for Canadian citizens or permanent residents is $5,544.69 (roughly 4,200€). 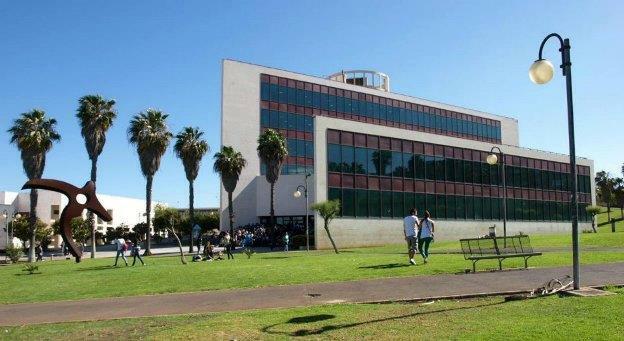 For international students, the fee is $12,032.46 (about 9,100€). The nice people at Glendon have prepared some videos that tell you all about the program. This video gives you a sense of what it is like to study online at Glendon, while this video includes testimonials by current students describing the program from their perspective (the students appear at 4:09 in the video). You can also check out the presentation that Andrew Clifford, the Course Director, gave at the recent SCIC Universities conference (which includes excerpts of real online consecutive and simultaneous classes). To learn more about application requirements for the program, you can have a look at the info page on the Admissions website, and at the online application. The next intake is September 2013, and as I said, the deadline to apply is June 5, 2013. No palm trees here! Still, it’s pretty nice, don’t you agree? Follow the Glendon School of Translation on Facebook and Twitter, and check out their YouTube channel for even more videos about interpreting. Interpreter Training: Is This a Game-Changer? Even in this world of constant connection and information overload, every once in a while there is a story that stands out from the rest. Being a trainer of conference interpreters, it’s clear that my eye is most likely to be caught by stories and events in my field. What I want to talk about today would appear to be something of a game-changer for interpreter training, or at least a firm step towards bringing training into the 21st century. 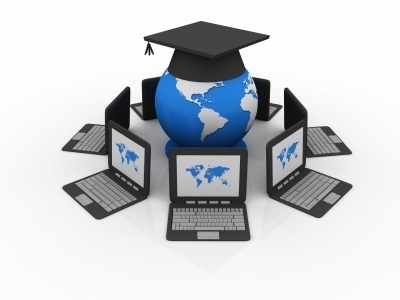 We all know that post-secondary education is moving swiftly toward embracing virtual learning environments (VLE). You don’t have to look far to find the trailblazers: headlines were made around the world recently when Harvard, MIT, and other top US schools unveiled edX, a common platform offering hundreds of their courses online for free. Oxford has since responded with a weblearning initiative of its own, and others are swiftly following in their footsteps. Readers may also be aware that there are more and more opportunities springing up for learning and practicing interpreting online. Here are a few good examples: the University of the Witwatersrand occasionally offers intensive courses in interpreting techniques that are part online, part face-to-face. The FTSK’s Internationale Sommerschule offers weekly not-for-credit online interpreter training sessions. Then there are AIIC’s training webinars, which expose a broad audience to the views of eminent trainers. I also know of a handful of colleagues who regularly teach and meet with students via Skype or get together to practice their technique in Google Hangouts. However, to my knowledge at least, there has to date been no degree-level interpreter training course delivered 100% online. This is all changing, with the launch of the Master of Conference Interpreting (MCI) at the Glendon School of Translation in Toronto, Canada. Glendon’s MCI is a complete, two-year postgraduate qualification. It’s not the first of its kind in this respect – indeed, in many ways it is modelled on more classical training models such as the European Master’s in Conference Interpreting – but what makes it new and different is the fact that Year One of the program is delivered 100% online via Moodle (a popular VLE) and Adobe Connect (a webconferencing tool). Successful completion of the first year, which includes modules in healthcare, legal and conference interpreting, leads to a Graduate Diploma in General Interpreting and is intended to prepare students to obtain certification and enter the community interpreting markets in their countries. Year Two is delivered on Glendon campus and leads to a full Master of Conference Interpreting intended to be equivalent to the high-level training offered by the European Master’s and similar degree programs. Why am I so excited about Glendon’s new Master’s program? First of all, because of the way it has embraced new technologies. Technology, in its many forms, has been part of the interpreting scene for some time now, but so far schools have been slow to catch up. Another big plus, as I see it, is that it brings together healthcare, legal and conference interpreters in a more holistic training paradigm, which should eliminate some of the tunnel vision typical of many training programs. And last but not least, the remote training approach breaks down geographical barriers, allowing trainers to come together with students regardless of where they are in the world. When I said at the start of this post that Glendon’s new MCI had caught my eye, I neglected to mention that this wasn’t something that happened just the other day. It was actually almost a year ago now that I first heard of the program. In late autumn of 2011, I saw their initial call go out for curriculum developers for the French<>English courses, and the idea started growing in my mind that this was something so new, so different, that I wanted to be a part of it. When a second call went out shortly after Christmas for developers of the Spanish<>English program, I didn’t hesitate. I contacted the people at Glendon and applied for the position of Curriculum Developer for the first-year Spanish to English conference interpreting course. What ensued has proven to be one of the most enjoyable experiences of my teaching career so far. I became part of an international team of 25 or so curriculum developers based everywhere from Rio de Janeiro to Vancouver to Athens and beyond. Together, we built courses for Year One of the MCI, focusing on healthcare, legal and conference interpreting and covering Arabic, French, Spanish, Russian, Portuguese and Mandarin Chinese. The courses are designed to be delivered completely online via Moodle and Adobe Connect, which students – and their teachers – can access from anywhere in the world. At a professional level, I have benefited in many ways from my collaboration with Glendon. Not only have I enjoyed the challenge of adapting my own teaching practices to the virtual environment, but I have also learned a lot from exchanges with trainers from the healthcare and legal spheres (strike one against aforementioned tunnel vision!) and have benefited from the close collaboration with fellow conference interpreter trainers. The experience has been personally enriching as well: names I had previously only known from textbook jackets or website bios swiftly became trusted colleagues with faces and voices, not to mention valuable views on various aspects of training. The group of developers grew quite close (and this considering we only ever met on discussion forums and virtual chats!) over the months that the project lasted. I even took some time out of a family holiday to Germany this summer to meet in person one Glendon developer with whom I had enjoyed a very fruitful online collaboration. 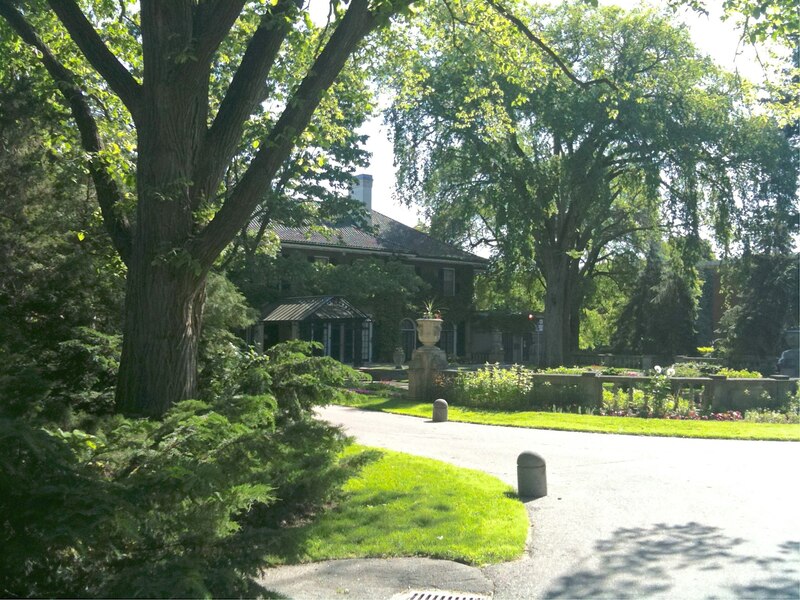 So what comes next at Glendon? The French<>English program has just started its classes, and I’m told that Glendon will once again be taking applications starting October 7th for the Spanish, Portuguese and Mandarin MCI courses, slated to start in early 2013. And if there is enough interest, Arabic and Russian could soon follow. As for me, well, I’m just looking forward to the next chance to have this much fun working on a project!